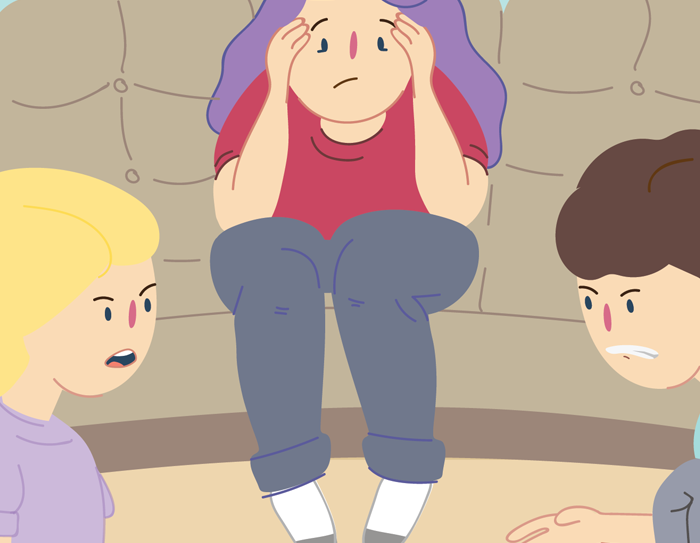 Dealing with conflict is not only stressful for kids, but parents too. We’ve got some tips to help you support your child to handle conflict better. Kids who know how to manage conflict are happier, have healthy friendships and learn better at school. How well kids are able to resolve conflict is related to their age, stage of development and life experiences. We’ve got some tips to help you support your child at any age to become better at managing and resolving conflicts with others. Be a positive role model – Kids learn about resolving conflict by observing others. Create a safe environment – Allow them to express themselves openly and honestly without fear of a negative or emotional reaction. Teach them strategies to calm down – Such as deep breathing, relaxation, exercise, writing, drawing, painting or other expressive activities. Work out how they feel – Talk it over to help them identify and process their feelings. Help them manage their feelings – Help your child find ways to manage their feelings in the moment such as counting to 10 or walking away. Work out what they want – Help them to understand their own needs or motivations. Encourage empathy – Help them to figure out what the other child wants and how they might be feeling. Encourage your child to connect with Kids Helpline if they need some extra support to handle conflict. If you need some support to help your kids handle conflict, call a Parentline service in your State or Territory and talk through your options with a counsellor.